Once you've experience the overwhelming shabbiness of Russia, you can't help but be impressed that Estonia got from that to where they are now in a little over 20 years. It's a nation of extremes. There are a lot of times when, such is the solitude, you'll feel like The Last Man. On the other hand, Tallinn feels like a city created by Disney with the tourist-targeted tweeness a little sickly sweet. For the perfect antidote, dig into Estonia's recent past. There are KGB-related experiences in the bigger towns and Tallinn's terrifying Patarei Prison. Stock up on food when you get the opportunity. You can cycle for hours without seeing shops or a petrol station in large parts of the country, especially away from the coast. In June, evening mosquitoes are a pain. Fortunately towards the end of the month their numbers are reduced. Unfortunately that's when the horse flies emerge. Large parts of Estonia feel utterly deserted. Some people will like that; others won't. In the denser forests there's a strong chance that you'll get tree overload. The country is mostly flat although there are some more scenic lumpy bits in the east. The coast is lovely everywhere. 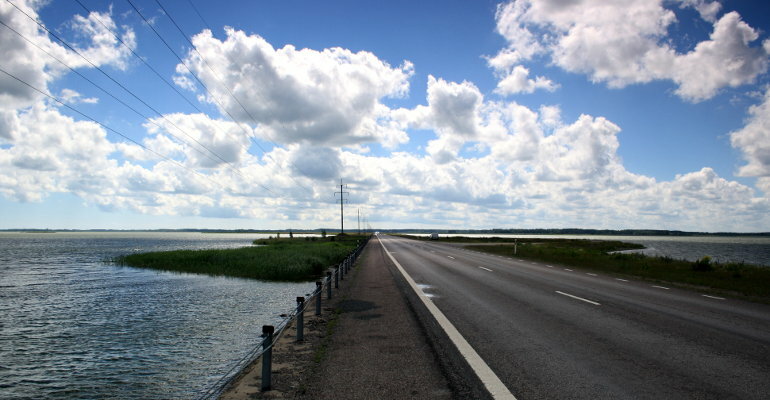 The large island of Saaremaa is worth a visit although when I was there strong winds made cycling painful. If you want civilisation, Tallinn is the prettiest town in the Baltic countries and Haapsalu, Kuressaare and Tartu all deserve attention. 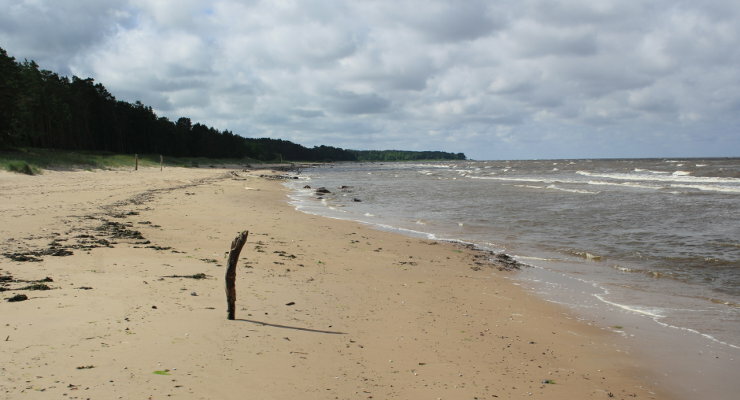 If you camp in Haapsalu, don't use the site near the beach. It's a swamp. Use the bigger one on your way into town. Road quality is excellent. Keep on eye out for roadside bus shelters in the middle of nowhere. They might save you a soaking if the rain comes down. Bear in mind that Estonia is more expensive than either Latvia or Lithuania for just about everything. I camped in 12 different sites. The average was €7 (ranging from €3 to €10) although the city camping site in Tallinn wanted something like €25 for a fairly rubbish site. If you don't mind overstretched toilet facilities, go eastwards up the coast and stop at Pirita Harbour's makeshift site. It was only €3. The three hotels I stayed in averaged €36. Estonian is a very odd language. Most people, especially the young, seemed to speak English. Some Estonian Russians I met told me their English was better than their Estonian. Russian might be a second choice but maybe this won't go down too well with the native Estonians. 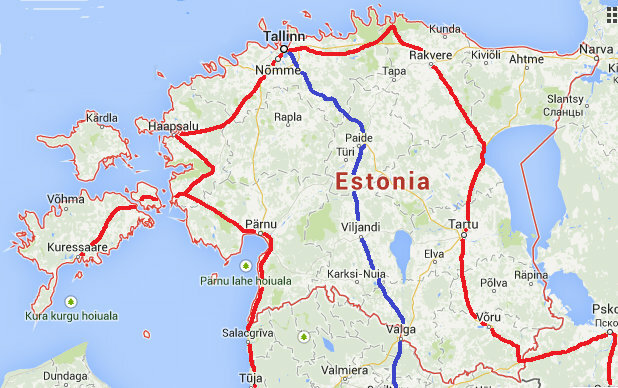 I cycled through Estonia in June 2013, starting in Tallin. I loved the old town area of Tallin, incredible. I took the bike tour through Tallin to see the old apartment buildings, prison and surrounding area of Tallin. Well worth the tour. The one thing I noticed straight away in Estonia was that no one smiles. I recall being in Parnu and met this guy who was smiling. 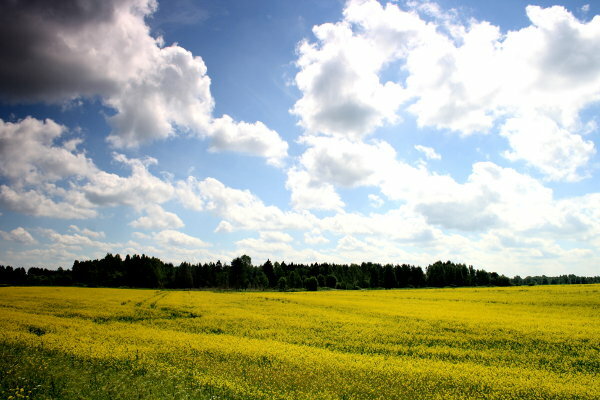 I said, you're the first person in Estonia that I've seen smiling and asked why no one smiled in Estonia. His answer, because people in Estonia are unhappy. I asked why are they unhappy. He answered, "Because they live in Estonia!" I loved the roads there, great rural secondary roads to ride. 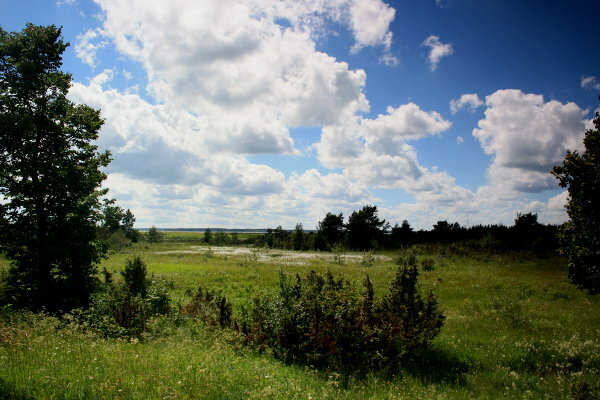 This link takes you to Len DeMoss's first day in Estonia in 2013.